Home Engines Internally or Externally Balanced Engine? Internally or Externally Balanced Engine? How do you know if your engine is internally or externally balanced? Externally balanced engines have a noticeable weight on both the damper (also called a harmonic balancer) and the flywheel/flexplate. 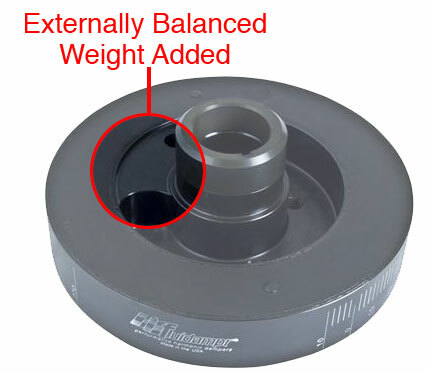 Internally balanced engines do not rely on any counterweight on the damper (harmonic balancer) or flywheel/flexplate.